CANON 6 SONY 5 NIKON 1. Surprised only I put Nikon dead last. Just found this and enjoyed the process. Going in, based on my normal preferences, I expected that Nikon would win, Sony would grab second place, and Canon would be a distant third. So... I guess I was correct. Sony 27, Canon 25, Nikon 20. The main problem of "Sony color science" is actually due to the unpleasant Adobe camera standard/neutral/portrait etc. profiles. There must be something wrong. Adobe needs to redo that. I think it was nice if dpr could organize a sort of poll for the portrait colors results. I am very surprised because most of the time when choosing my top picks I was certain I was picking the Canon. You can often recognize a more green or magenta tint, or a very natural look, but I chose different looks for the images, not ‚magenta only‘ or ‚green only‘. Sony seems to have done a great job with the A9 and the A7R3 (which seems to do just a good as the A9 when it comes to skin tones). this is a really sad story, since I wanted to buy 1dx. Canon.. come on, do something already..
Don't confuse crappy with your personal preference. Fun game to play I guess but not sure if this comparison section really showed much other than what output does one prefer from the author's chosen conditions. It's not a comparison about accuracy as we don't know the true colors of the scene (note the different tints of color between each camera). And what settings were used in each camera for WB, scene files, etc.? Perhaps I missed it but this didn't seem to be shown yet this could have a dramatic impact on the results. Background also changed between some shots which would have affected metering/WB, and then there's the issue of the JPEG engines. Surprised. I got Sony 32, Nikon 21, Canon 19. Some of the ones I liked reminded me of my old Canon P&S that I favored so I thought they were Canon. But I've been a Sony shooter for ILC. I recently switched from Nikon to Sony. I did not feel like grading each one, i picked my favorite from each set. Most of the times i struggled between A9 and D5 then picked a random one. Sometimes I wanted to pick canon for being neutral but dull colors / zombie skin are not pleasing to me. I never seem happy with the WB / Color of my D600 / D750 SoC so i was impressed that i picked the D5 - 5 times. I can't see how this would matter unless you shoot JPG only. Even so, isn't there a lot of room in camera for adjustments? There is no clear winner for me as the differences are so small! I think the test just concluded that all 3 cameras are so similar in this portrait shootout. wow, i'm liking the results people are posting... Sony seems to be winning in majority of test. I've always thought that Canon had warmer skin tones (which I prefer) and Nikon had cooler skin tones...but the colours were the opposite way around in this test. Nikon was the winner for me. I always partial to the warm style of Sony JPGs and it was good to see that confirmed through this blind test. However, much more interesting than OOC performance is how well and quickly one can tweak images until they look how one likes them the most. Out-of-camera JPEG performance really should not influence any review score or anyone's preference of a camera. Most certainly not in this price league. As DL Cade put it in another article "Always shoot RAW". Note that "always" does not leave any room for some perceived benefits of using OOC JPGs, even if they existed. BTW, some of the tallies people posted do not add up to 72, indicating a mistake in adding up the scores. I guess that would depend on whether you scored each image set 1,2,3. If you didn't like any of them you could score all 1 or not give them a score at all. PS - I found the brunette more appealing than the blond in the video. She has a cute smile. I hate to admit it, but I'm a died-in-the-wool Canon user and have been for over 12 years and I took the test and Canon came in first with about 15, Sony with 23 and Nikon with 35. Embarrassing but I'll never switch. I do very few people anyway. Typical...DPR excludes the Pentax K-1. This was a really interesting blind test. It would be interesting to know what lenses were being used. They should all be of similar quality. All three cameras are excellent so even third place is still top of the line. There would probably be much bigger score differences like with APS-C models. 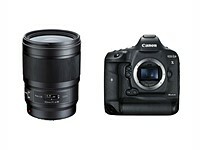 The a6300 vs 7D vs D500. 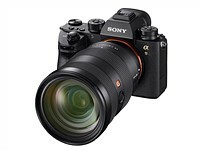 Sony A9 but a good margin. I'm a bit surprised, I thought it would be closer. Sony's are quite a bit sharper and skin tone is generally pleasing. What's with the orangy tone in the D5 pics? I didn't score the first one, blurry and too much compression artifacts, conversion to You Tube video maybe? Closer than many, but Sony is ahead. I guess I chose the right brand. Now that the D850 is released, Andrew will just have to do another review with the A9 included - more hard work for him but he is sure to do what de does well. To many Sony already have fixed their creases and lenses are already there. To others they would never have left Nikon anyway so it doesn't matter. Michael Andrew does a great service with his reviews. Thanks for plugging it. I hope any extra traffic he gets helps him to continue putting out the spectacular work. It's nice to see someone testing cameras that actually has a scientific methodology when analyzing autofocus. Although the conditions are not 100% repeatably perfect, it's better than what anyone else has done. I love those shootouts. Thank you for it. I have do admit that for this shootout I can name no winner. I tabulated 60 responses from users on this thread, and Sony A9 took first overall place 42 out of 60 times. That's pretty impressive. To a point, i think these tests are pointless. To get the real (big) picture, someone needs to do a wide range of tests across all three cameras, (landscape for DR, sports/nature for AF speed, portraits for coloring, etc, etc). Just doing such a test only tells you which camera is best for portraits obviously... but the camera that maybe doesn't make the cut for portraits, may be a killer at landscape and high DR shots. So to keep things fair, one needs to do a full range of tests on each to determine the real "winner". This only looks at portraits and similar types of shots. Another factor that's hard to isolate is any monitor bias between right, center, and left. @Duncan D -- When choosing between multiple good options, it's often worthwhile to get a handle on which option is going to cause the most disappointment. Here's the most simple example: Would you choose a camera that produced a noticeably poor result in some of the images even if was very marginally better in all of the other images? A "one to ten" scale for each would have brought this out. A "nine" may be better than an "eight" in one image but does that matter if you judged that "nine" to be a "one" in another? Probably not. I know this is a few days old, but I picked the 1dxII in 9 images and the A9 in 3. The d5 has some really over processed skin tones and always sticks out. The 1dx has generally the most neutral skin tone, and a certain "clarity" in how those tones are rendered, making it's images the best "out of the box". It would have been nice to see this test applied to various models with different skin tones, as there wasn't enough variation in lighting to make a difference with these 12 sets. I shoot people commercially, and I've been a hasselblad digital guy for the past 15 years. Recently, I noticed that my 5dsr is capable of some really nice skin tones if exposed right. This test confirms for me that canon still wins in the portraiture area, amongst the 35mm dslr competitors. Nice to see sony as a solid second place. That was a lot of fun, thanks for taking the time to put it together. I thought all 3 cameras performed quite well, which leads me to believe it will mostly come down to ergonomics, feature set, and possibly available lens selection, as to which one is the best choice for a particular photographer. The article's comment on jpegs is good. I had some raw images for which I could not come close to matching the jpeg's quality (low light, m43). I surmise cameras do stuff that raw converters do not. Maybe Canon raw convertor is an outlier though since I assume their included RAW software uses the same algorithms as their cameras, but not if you use Adobe raw convertor. 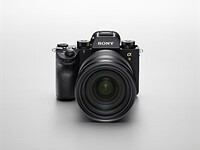 DPR Sony A9 Review - Conclusion: "Default color response improved, but still behind competition"
I'm looking through the comments here and I'm not seeing this reflected in the comments. Glad I'm not the only one surprised. DPR had something similar to say about the A99ii also. Part of the problem with Sony has to do with it's auto white balance in incandescent light, it tends to be too yellow/green. Fortunately for Sony there was none of that in the video. Awesome, now I know that if I were in the market for a flagship sports camera with some unspecified lens (which btw affects the image color output), and if my models were primarily young white females with blond hair and blue eyes, I should probably choose either the Sony or Canon or maybe the Nikon because although it was in last place, it still was my pick about a third of the time. This was truly useful. Also if I were predominantly a portrait photographer looking for the best camera and lenses for portraits I wouldn't make a choice based on ooc jpegs! I would be shooting RAW and choosing my clarity and skins tones etc in post processing. Who dreams up this stuff?! Wow! That's news, finally Michael is getting the attention deserves! the girl's photos remind me of the twins in "The Shining"
you should name this article: canon vs sony sensors..
A camera is so much more than only it's sensor. Actually it is somewhat pointless to judge multimegapixel camera image quality from heavily compressed and gamut-limited HD video. Not to mention normal phone, tablet and laptop displays most people are likely to use instead of calibrated monitors. It is like judging the differences between DSD and PMC audio coding by listening to 128 kB MP3s. but then we see via the monitor/screen we have so make a choice, no ? OP Nonsense. All product are subject to the same conditions and equipment so any systematic effects are washed out and the meaningful differences remain. The but is that very few folks have color calibrated monitors wide gamut monitors. Things like color calibration are probably most important for folks who are printing images. DPReview sends out a mixed message: In a recent article about a pushed eclipse shot, DL Cade concludes "always shoot Raw." In this article, R. Sanyal sings the praises of shooting JPEG. I know what to think about the attempt to make a case for shooting JPEG, but wouldn't it help if DPReview spoke at least with a consistent voice? Raw + JPEG. Everyone's happy. Wow! This was an eye opener. I've been a Canon shooter for a very long time, partly because of the "Canon colors." Sony was the clear winner in this test for me. Surprised. Expected Canon to win, but Sony turned out to be a definite winner here.